The Lotus Evora is a sports car produced by British car manufacturer Lotus. 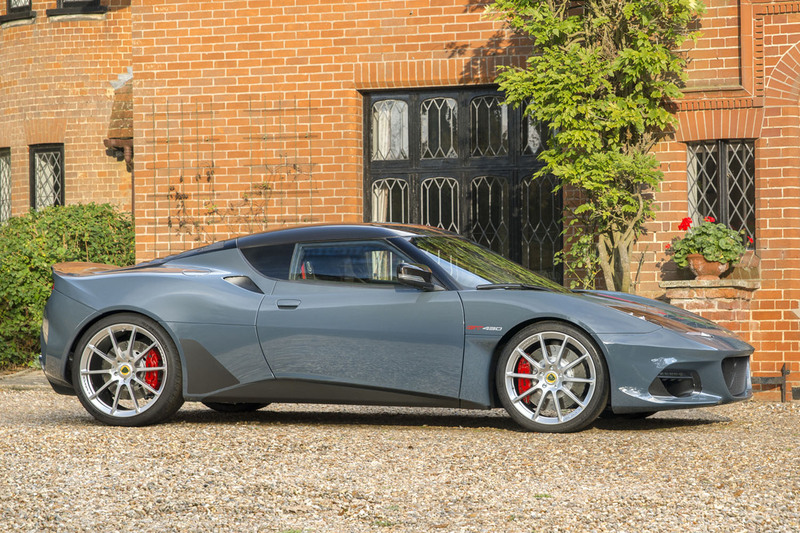 The car, which was developed under the project name Project Eagle, was launched as the Evora on 22 July 2008 at the British International Motor Show. The Evora S was launched in 2010 with a supercharged equipped 3.5-litre V6. 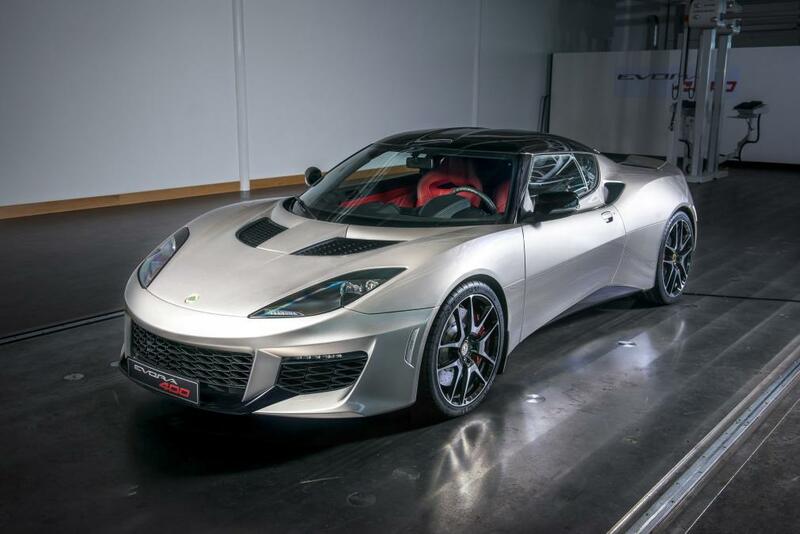 A facelifted and more powerful Evora 400 model was unveiled at the 2015 Geneva Motor Show. The Lotus Evora 400 is the fastest Lotus road car of the New Millennium. Its lightweight chassis has been lowered and widened to make cockpit entry and exit to the 2+2 composite body easy. The Evora 400 exudes the Lotus spirit of lightness and driving purity so succinctly. 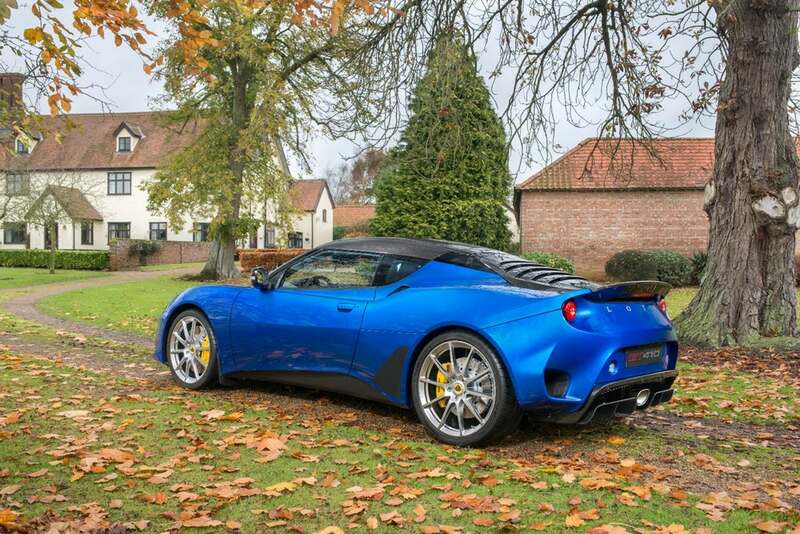 Despite producing 400 hp (406 ps) from its 3.5-litre supercharged V6 engine, with its comfortable cabin displaying many new features, the overall kerbweight of the Evora 400 has been reduced by 42 kg over its forebear. As a result, its exquisite power to weight ratio, combined with an aerodynamic package that maintains zero lift but increases downforce at high speeds, simply enhances its supercar appeal. Relentless in its development of world-class sports cars, Lotus has unveiled the new Evora GT410 Sport to complete the revised line-up of Hethel’s fastest model. Launched in Lotus’ 70th year and ahead of its anniversary celebrations, the new Evora GT410 Sport takes one of Lotus’ success stories, and refines it through the application of enlightened design. Available in both 2 seat and 2+2 configurations, and in manual and automatic transmissions, the Evora GT410 Sport draws from the phenomenal Evora GT430 to provide advanced aerodynamics to an already celebrated sports car. Adding to the acclaimed Evora 400 and Evora Sport 410 models, the new Evora GT430 range now includes two body options and a choice of manual or automatic transmission. Joining is the Evora GT430 Sport, a new member of the family that carries the same phenomenal firepower and sculptured body-style but without the additional downforce-creating aerodynamic elements. Both models are powered by the same 3.5-litre V6 supercharged and charge cooled engine, producing 430 hp and 440 Nm of torque (Automatic version: 450 Nm). Boasting a high specification, the Evora GT430 range includes, as standard, Ohlins TTX two-way adjustable dampers, J-grooved and ventilated brake discs – paired with AP Racing four-piston calipers all round, a Torsen-type limited slip differential (LSD) and an adjustable traction control system.